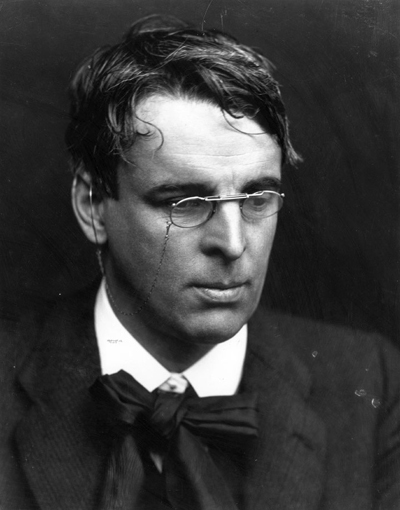 Yeats was one of the driving forces behind the Celtic revival, with a very definite purpose to excite pride in Irish culture and a desire for Irish independence. If Yeats cast himself as Ireland's literary hero her cast Maud as its political goddess and saw her as his spiritual other half, the Yin to his Yang. Yeats proposed to Maud in her twenties, her thirties and in the script in her late forties. He believed they were destined to be together. The script meet Yeats in London rehearsing the his half Celtic half Japanese Noh play "At the Hawk's Well" with Japanese dancer, Ito Michio, costume designer, Edmund Dulac, and his assistant Ezra Pound. He has also just begun work on The Vision which would bring to ether his understanding of the world and what he believed were predestined fates of humans as part of a bigger universal force. Ito Michio photographed by Alvin Langdon Coburn during "At the Hawk's Well" rehearsals 1916 London.